WASHINGTON — In a post on Twitter on Wednesday, President Trump accused past administrations of paying “extortion money” to North Korea and said diplomatic talks are not sufficient. “The U.S. has been talking to North Korea, and paying them extortion money, for 25 years. Talking is not the answer!” Mr. Trump wrote. It was not clear what money the president was referring to. Mr. Trump has been both open to and against talks with North Korea. 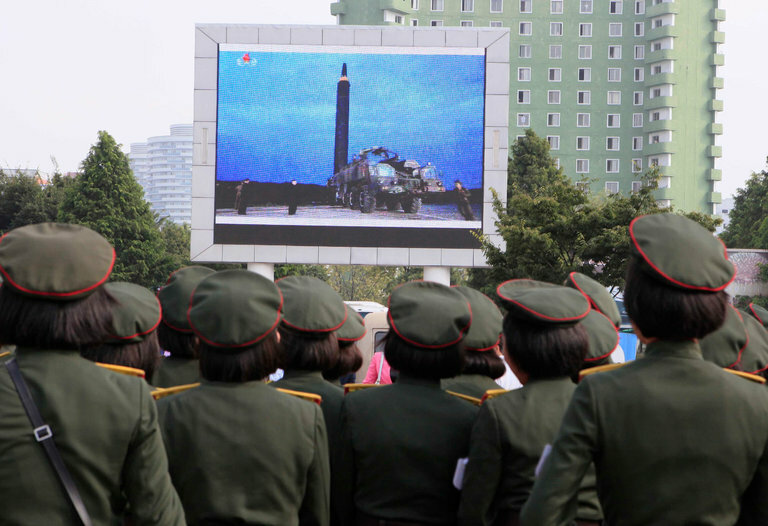 Last week, the president said he thought Pyongyang was starting to respect the United States, but then North Korea brazenly launched a missile this week over Japan, forcing Japanese residents to take cover. The missile landed harmlessly in the ocean. On Tuesday, Mr. Trump said that North Korea’s message had been received. “The world has received North Korea’s latest message loud and clear: This regime has signaled its contempt for its neighbors, for all members of the United Nations,” Mr. Trump said in a statement. Past American administrations have tried diplomatic approaches and imposed sanctions on North Korea in an effort to convince North Korea to abandon its weapons programs. Over the years, the United States has given money to North Korea for humanitarian assistance. And attempts to establish better relations have included lessening some of the economic sanctions on the North. The United States and North Korea do not have formal diplomatic relations. In 2013, Mr. Trump questioned the financial relationship between South Korea and the United States for protection from North Korea. And during the presidential campaign, Mr. Trump complained about the expense of defending South Korea and Japan, saying those countries did not pay a fair share for the United States bases there. Hey dear great effort done in your blog,thanks for sharing such a great piece of informative information as you will easily add the huge amount of money in your paypal account and you will be benefited very much.